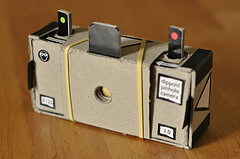 We’ve seen our share of pinhole cameras before, including a room sized pinhole and one that uses Polaroids. However, we’ve never seen a pinhole camera as nice as the one from Francesco Capponi (AKA dippold) before. You can print it on paper (A4! go Europe!) so all you really need to have is a printer (and if you are reading this via computer, I assume you have one right to your left). You’d need a thick paper though, or some cardboard, to glue your instructions to. You can probably use the cereal box leftovers from the snoot you made. Or better yet, print it on a big A4 sticker and mount it on that cereal box. 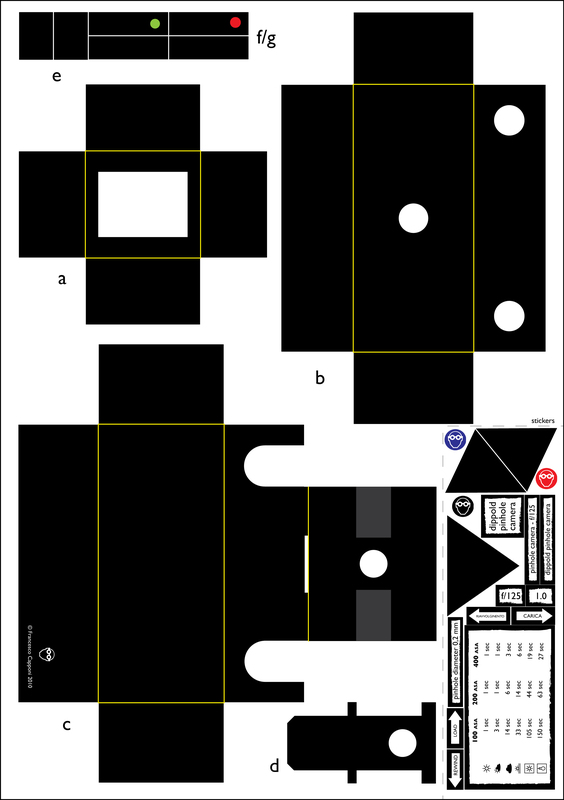 The diagram is available here. Instructions come in a step by step pictorial (above), just like that old Lego ship you built a few years back. The design is very slick and it uses a dying breed of 35mm film. 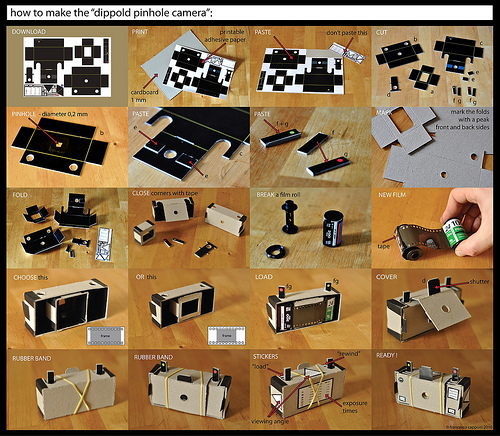 You can communicate (with dippold & with each other) about the pinhole cam here, on the original instructions page. I can’t break the film roll that way, hoy can I do it?